I had taken all of these nice step by step pictures on how to prepare this soup for you..then my son accidentally deleted them…damn. But! I did manage to take a couple more before I put the soup in the freezer. 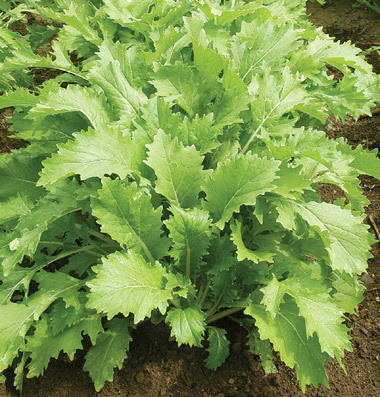 In my CSA box, I had gotten a type of Mizuna called Waido. 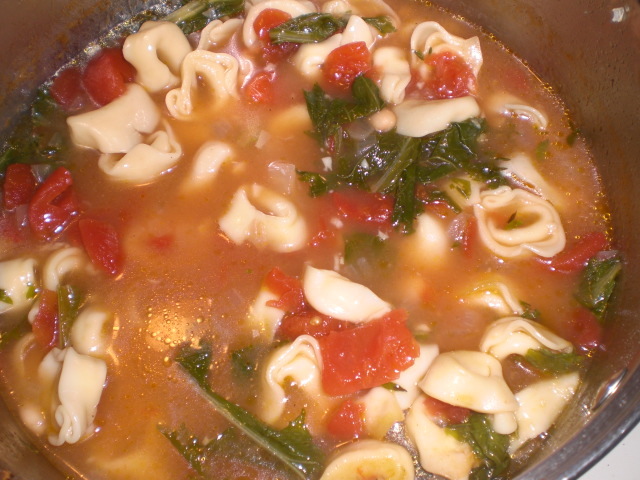 I had been craving this cheese tortellini soup a professor at college had made for a get together. She had used chopped cooked spinach in her recipe. I really am not a fan of cooked spinach at all. I love it raw, but cooked..no. I still wanted to make the soup, but not with spinach. I thought why not try the Waido in the soup instead and see how it turns out. I think it turned out splendid. The Waido was a very nice addition to the soup. I don’t like the dirt after taste that spinach gives me. Waido was mild, no dirt taste at all. Very, very nice. Heat olive oil in a dutch oven on medium high. Add onion, garlic and tyme and satuee until onions are transparent (don’t let garlic get brown. If it seems to be getting brown fast, reduce heat). Add the broth and tomatoes and bring to a boil. Reduce heat to low and let simmer for 15 minutes. 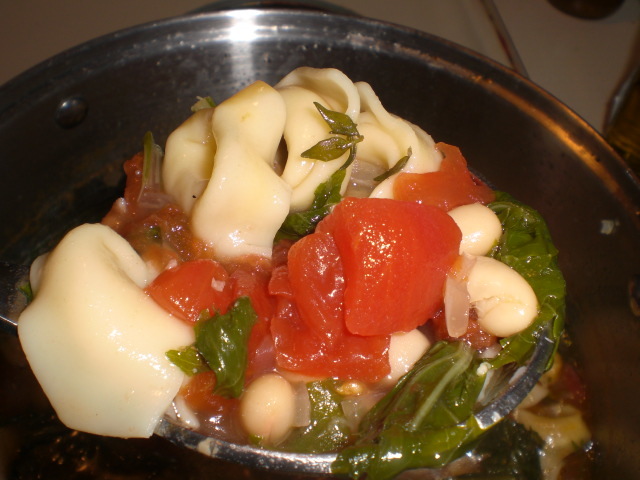 Add the beans and tortellini to the soup and let simmer until pasta is tender to the bite…around 10-12 minutes. Add the Waido and turn of the heat. Let sit for two minutes. Ladle into a bowl and sprinkle Parmesan cheese on top. If you decide to make this, I hope you enjoy it as much as I did.